Trusting on home remedies to cure common cold and cough is something that many Indian households still believe. Besides treating common cold and cough effectively, these home remedies are also free from any side-effects. Find below our list of top ten home remedies that will help you treat common cold and cough. In half spoon of honey, add a few drop of lemon and a pinch of cinnamon. 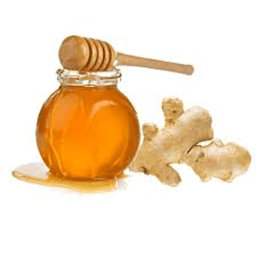 Have this syrup twice a day to cure common cold and cough. An essential ingredient found in almost all Indian kitchens, turmeric has a strong antioxidant which helps in treating many health problems. Turmeric mixed in warm milk is a popular and effective way to fight against cold and cough. Drinking a glass of warm turmeric milk before sleeping helps in faster recovery from cold and cough. Brandy is known to keep your chest warm as it increases body’s temperature and missing honey in brandy helps in fighting a cough. Just a teaspoon of brandy mixed with few drops of honey improves cough and common cold. This uncommon home remedy is great to fight common cold and cough. It may sound strange but this interesting drink helps in relieving common cold and cough!